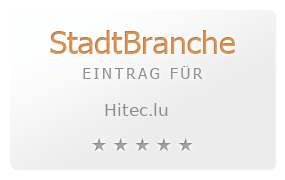 HITEC Luxembourg S.A. a 100% owned Luxembourg company has developed its business activities in the field of innovative and quality products and services. Quality management and assurance corporate social responsibility and environmental friendly business are the basis for sustainable growth and long term partnerships with our stakeholders. The company offers high technology value added solutions covering multiple business areas: satellite ground segment technology; customer specific and standard equipment for testing and measuring of physical properties; engineering; consulting; software ICT development and project management. HITEC Luxembourg serves private and public sector customers at a national and international level in more than 20 countries worldwide.